Hattitude Brisbane is the brainchild of Lynn Holyoak, an international milliner who in 1998 was appointed the title of the 'Official Milliner' to the richest horse race in the world – the Dubai World Cup. For the next decade, Lynn styled the Dubai expat women in both headwear and fashion and thoroughly enjoyed the experience. 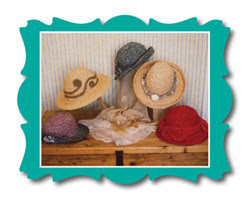 Now Lynn runs Hattitude Brisbane and regularly hosts Raffia Hat Making Classes and Raffia Accessories Classes. 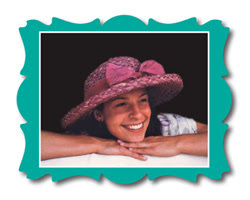 In these fun workshops, students learn to create their own unique Raffia Hat or Bag, using provided materials and no prior craft experience is required. 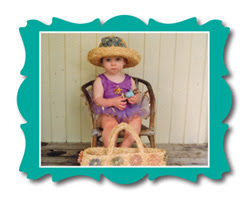 You can choose to make your hat or bag elegant, whimsical or sporty - it is completely up to you! This relaxing and rewarding activity will see students finish their hats in just two 3 hour sessions and the cost is $95 per student, which includes all materials, 6 hours tuition and refreshments. Please note that students are required to attend either two morning classes or two evening classes (3 hours each) to complete their hat or bag. Classes are usually held one week apart to allow the students to leisurely complete their braiding. Lynn is also happy to host group classes of 6 to 10 students, so get a group together and Lynn will travel to your location and you'll learn for FREE as a special thank-you! For more information of a Hattitude Brisbane class, please visit www.hattitude1.com, where you can find out more about Lynn and view a selection of her handmade creations. For bookings and enquiries, please use the convenient online form or contact 0426 153 730. Cost: The cost of $95 per student includes all materials, 6 hours tuition, plus coffee, tea and cupcakes.